The saga continues with Symmetry Series Star Wars cases for iPhone 8 and iPhone 7. Ultra-slim and ultra-protective, you can confidently do what you do with your iPhone in hand. OtterBox began like many start-ups – built on a dream, created out of a garage. Starting with something as simple as a box, OtterBox was created in 1998 and built upon the fundamentals of hard work, risk taking and listening to our consumers. It’s through their commitment to innovation that they have become what they are today. They imagine, design and build extraordinary products that enhance life on the go and protect what matters most. They allow people to enjoy extraordinary moments and everyday ones too — without worry. Always ready for action, OtterBox inspires people to do all that they do with a dash of daring. 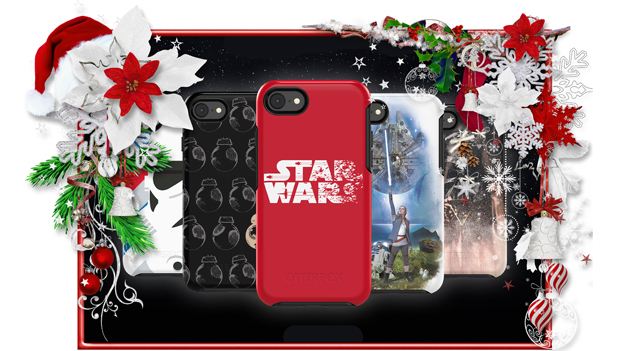 For more product details on the Otterbox Star Wars iPhone Cases, click here!